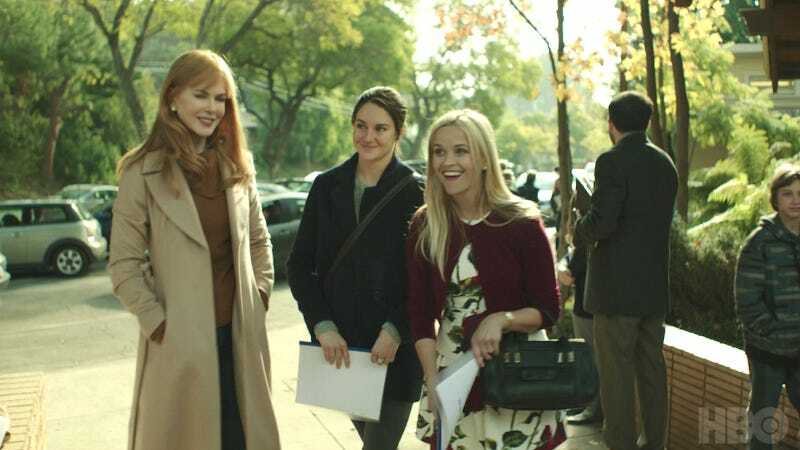 HBO has been hinting at the return of prestige series Big Little Lies even though its single season was perfectly resolved and needs no further expansion. Now, it looks like those hints are materializing, as Reese Witherspoon has left another project, allegedly to begin filming yet more lies. Variety reports that Witherspoon has been attached to star in and produce a film titled Pale Blue Dot since 2015, playing an astronaut who unravels after returning home from an expedition into space. Sounds meaty, but instead she’ll be returning to her role as a meddling housewife in Monterey. Production for Pale Blue Dot was set for early in 2018, but that’s allegedly when Season 2 of Big Little Lies will now be filmed. According to TV Line, sources are saying that HBO wants a Spring 2018 production schedule as well. They haven’t officially confirmed, but why else would Reese bail on a cool space movie? She wants to make an unnecessary sequel, and she’s right to do so, because I will probably watch it! As will you. Let’s tell the truth.